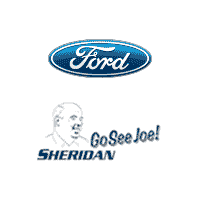 Go see Joe at Sheridan Ford to check out the new 2019 Ford Edge, now available to lease or buy. This Ford SUV is available in four trim models: SE, SEL, Titanium and ST. The Ford Edge ST is the first Ford SUV engineered by the Ford Performance Team, so you’ll want to check it out….